Beautiful, safe, many amenities submitted by Gina V. - Feb 28, 2018 |Recommended: YesGreat overall. Centrally located, spacious layout, quiet, close to Helmetta's recreational area, many amenities within the development. Rent is quite high, but you will not find an overall better place to live for your money than the Lofts. These are beautiful, safe, quiet, and modern apartments submitted by Donovan L. - Feb 14, 2018 |Recommended: YesThis is a great apartment complex to live at. The staff is very helpful and any maintenance issues are handled very quickly. 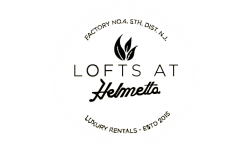 Compared to all the other apartments that I have lived at, the Lofts at Helmetta is the best. Great place to live submitted by Lauren P. - Feb 12, 2018 |Recommended: YesMy boyfriend and I love living at the Lofts. The people are very friendly and welcoming. Safe, new, cozysubmitted by Amberly R. - Jan 16, 2018 |Recommended: YesVery nice apartment. Maintenance done in timely fashion. Parking lot is big. Key fob entry makes me feel very safe. Close to park. Can't hear neighbors in hallway barely at all. Brand new appliances make it feel upgraded. Peaceful submitted by Chevonne B. - Jan 01, 2018 |Recommended: YesI like that the neighbors are friendly and that it's not very noisy. I like being at peace when coming home from a long day at work and I get that here. The amenities are beautiful and gives you a place to hang out and meet new people. .submitted by Michael B. - Nov 05, 2017 |Recommended: Yes. The property is warm and inviting. The common areas are fun with trendy fixtures.submitted by Kathleen N. - Oct 20, 2017 |Recommended: YesLiving in the Lofts is a fun place to live. The age range is vast. The amenities are many, making socializing an easier experience. The residents are all super friendly. Not to mention how many puppy friends my dog has made. What's not to love submitted by Brianna L. - Sep 01, 2017 |Recommended: YesIt is a very clean, modern and unique place to live. It has great amenities.